The Vulcan Bomber is one of the most iconic and recognisable aircraft in the world. It was one of the RAF’s V-Force bombers that helped to maintain peace by providing a nuclear deterrent during the Cold War. It also played a vital role during the Falklands War. 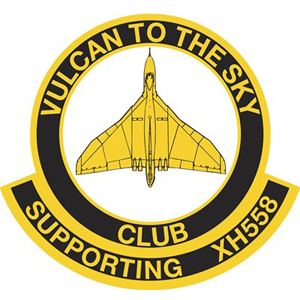 ‘Vulcan to the Sky’ is a charity that, backed by the National Lottery, raised millions to make Vulcan XH558 airworthy again. She was the only Vulcan left flying and was the star attraction at air displays all over Europe and events like The Goodwood Revival. VTTS needed to develop a Customer Relationship Management system that could keep track of all their supporters and donations. Over the years they had accumulated multiple spreadsheets and databases containing tens of thousands of records, and these were proving to be unmanageable. Our existing CRM system was modified to integrate these numerous spreadsheets in to one coherent database. The software was then configured to keep track of their donations and promotions, plus monitor their Gift Aid details to keep the Inland Revenue happy and maximise their income. Felicity Irving, former Bond Girl and extraordinary fundraiser was extremely pleased with the result. It enabled VTTS to effectively manage the admin element of the charity, leaving them to get on with the much needed fundraising. Sadly, Vulcan XH558 flew for the last time at the end of the 2015 flying season. Unfortunately, having evaluated a great many factors, the three expert companies on whom the Vulcan depend – BAE Systems, Marshall Aerospace and Defence Group and Rolls-Royce, together known as the ‘technical authorities’ – have collectively decided to cease their support. Without that support, under Civil Aviation Authority regulations, the Vulcan is prohibited from flying. Anyone who has seen or heard XH558 overhead would agree it’s a thrilling experience, but supporters can continue to enjoy tours at her Hangar and say that even on the ground, XH558 is fascinating and exciting. In her new life, still able to accelerate dramatically along the runway, XH558 will build on this excitement to inspire and educate new generations of young people, focussing on the technical skills that our country needs so badly.